Miriam Stoltzfus, an Amish schoolteacher, is bitter because her old boyfriend jilted her. Amos Hilty wants to court Miriam, but she’s certain that he only wants a mother for his daughter. 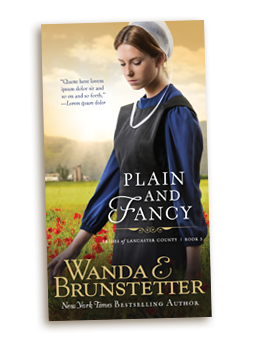 Miriam forms a friendship with Nick McCormick, a newspaper reporter, outside her Amish faith. Will Miriam ever let go of her bitter spirit and surrender her will to God, or will she leave the Amish faith and find what she longs for in the outside world. Rebekah Stoltzfus, confined to a wheelchair, longs for a miracle — a way to be self-supporting. When Daniel Beachy spends time with Rebekah she believes he feels sorry for her and is interested in obtaining her new business. Will Rebekah ever find the miracle she’s looking for? Laura Meade, who grew up in the fancy English world, falls in love with Amish man, Eli Yoder. But Eli’s girlfriend, Pauline, has other plans for Eli. Is it good for two people, one plain, the other fancy, to fall in love? Will Laura and Eli find a way to be together? Rachel Beachy wants something she can’t have — her sister Anna’s boyfriend. 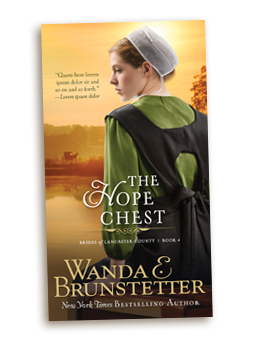 When Anna unexpectedly leaves the Amish faith, Rachel’s hope is rekindled. Can Silas set the pain of Anna’s rejection aside and see Rachel as anything more than a child? Will Rachel be disappointed, or will she learn the true meaning of hope. Nestled along the country roads of Lancaster Valley, Pennsylvania, the Amish still cherish and cultivate the virtues realized by living a plain and simple life. In this re-release of the collection of four complete novels, bestselling author Wanda E. Brunstetter transports the reader to this secluded corner of rural America and provides a refreshing glimpse into a culture noted for its hard-working, family-oriented people of strong religious faith. Despite their horse-and-buggy pace in a high-speed world, when it comes to romance, the Amish find their hearts racing at top speed. 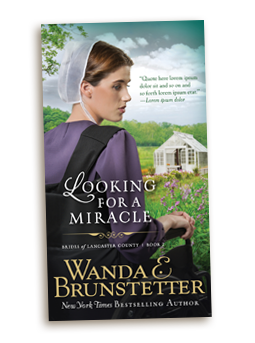 The Brides of Lancaster County tells the stories of four Amish young adults as they explore their place in the world-while finding true love in the process. When trouble comes our way or people disappoint us, it's easy to become depressed and negative about things. 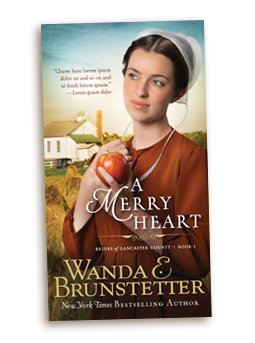 Schoolteacher, Miriam, the main character in A Merry Heart, the first book in my Daughters of Lancaster County series, had a bitter spirit and was known among her students as an "old maid with a heart of stone." While it's not easy to go around with a smile on our face when we've suffered disappointments, it is easier to deal with our disappointments if we don't allow ourselves to become bitter. The Scriptural focus I used in this book is found in Proverbs 17:22: "A merry heart doeth good like a medicine; but a broken spirit drieth the bones." I dedicated Book 1 in this series to my sweet Mennonite sister-in-law, Miriam, who is now deceased. Miriam Brunstetter, with her merry heart, was a blessing to everyone she knew, and a true inspiration to me. 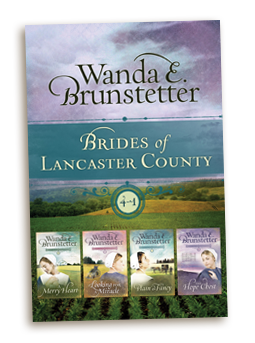 "This book is the second in the must read set The Brides of Lancaster County by Wanda Brunstetter she has outdone herself once again in a memorable book that is hard to lay down once the reader starts. This book is a true inspiration for me."